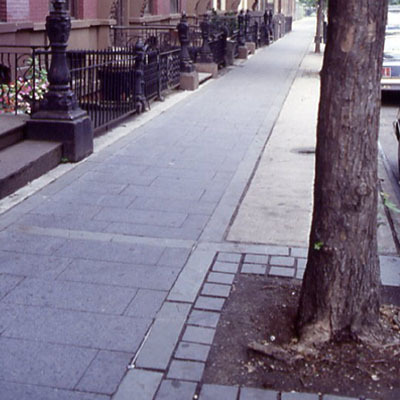 Twelve blocks along Bedford Avenue - between McCarren Park and Grand Street - were designed in order to unify and integrate the commercial and residential facades with the pedestrian path. Granit curbs, slate block pavers, trees, lighting and bollards create a durable, articulated and cohesive pedestrian environment. the street, infrastructure of sewers and water mains were also rebuilt.